‧Actions : Awakens the senses with incredible scents and a rich perfumed foam. Creates relaxing moment in the shower or bath and a silky after-feel. A scented delight that leaves the skin irresistibly perfumed. 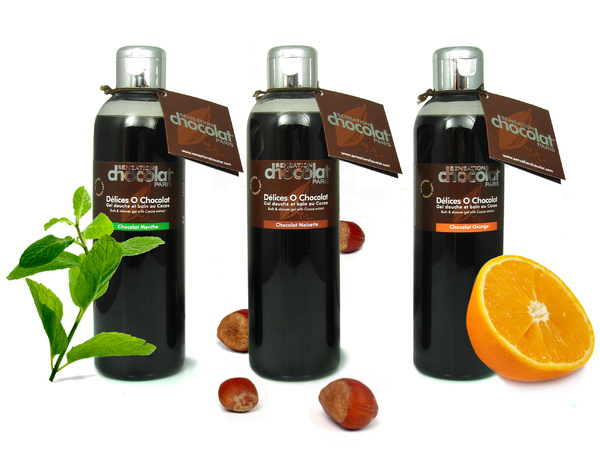 ‧Five Fragrances Available : Dark chocolate / Milk Chocolate / Chocolate & Mint / Chocolate & Orange / Chocolate & Hazelnut. ‧Ingredients : Cocoa Vegebios® : (Rich in Caffeine and Theobromine. Cocoa is well known for its tonic and stimulating action).